This is 16-count plastic canvas stitched with 6 strands of DMC floss – all continental (tent stitch). 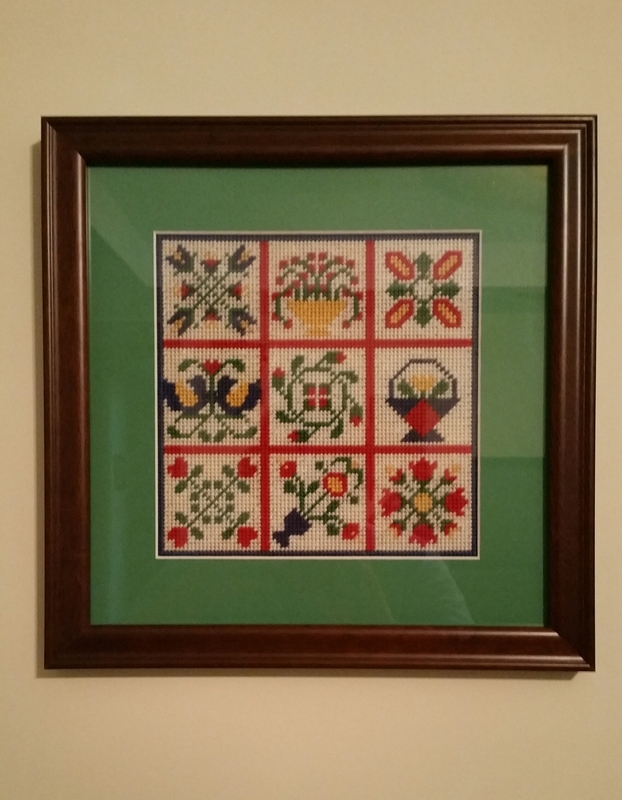 Can’t remember where the pattern is from, because I stitched this about 20 years ago and stuck it in a plastic box. Floss tube videos on YouTube are inspiring me to finish my stitching projects and display them, instead of sticking them in a box.